Research into sense of place, like nature connectedness, has grown rapidly in resent years and there are meaningful connections between the two to be explored. A sense of place is broadly about human connection to places, nature connectedness is about human connection to nature. Clearly, those places can be natural, and nature connectedness can perhaps be seen as a portable sense of place – found within every woodland or wherever the good things in nature gather. Like nature connectedness, place attachment includes emotional bonds and meaning. As research into sense of place has an emphasis on meaning and attachment, it is typically seen as ‘slow’ to evolve and enduring, but not static owing to the various social and lifespan factors involved. Similarly, nature connectedness varies across the lifespan, but can also be increased through interventions such as 30 Days Wild or noting 3 Good Things in Nature. Attachment to place has often been modelled as a relationship between the separate entities of the place and human minds, with a person’s sense of place driven by external factors. Whereas a perspective based on meaning involves an extended human mind and more experiential factors. Once again, nature connectedness can be seen from similar perspectives, indeed I wrote about the phenomenological perspective of Merleau-Ponty in a 2014 blog post. Merleau-Ponty highlighted the interconnection between the perceived and perceiver – how we are embedded in the landscape, our body is “the vehicle of being in the world”. We’ve started to explore this embeddedness in the natural environment in our review of nature as a new paradigm for well-being. This philosophy moves us away from a goal-directed focus to a holistic worldview. I’ve written before of a view of human health based on a ‘biopsychophysis’, where health depends on biological, psychological and natural environment factors – reflecting a ‘mind-body-nature connection’. Rather than the biomedical model that sees health as deviation from ‘normal’ within the individual, the emphasis becomes a wider and dynamic relationship that includes nature. This interconnectedness provides a more realistic model of well-being, sense of place, nature connectedness – because ultimately that’s how life on Earth is. An interesting paper by Raymond and colleagues on sense of place published a couple of weeks ago discusses the sense of place research and introduces the potential contributions of ‘affordance theory’. I found this particularly exciting as affordance theory is a key part of my background in ergonomics and human factors, and the more I delve into nature connectedness, the more I find links to the models that underpin this primarily workplace based discipline. A discipline that essentially considers people and their relationship to objects, places, environments – and why not nature? Traditionally ergonomics, in common with much Western thinking, has focussed on interfaces and boundaries to the disembodied self, yet we understand more and more that people are indivisible from their surroundings. Affordance is a term coined by the psychologist James J. Gibson and it refers originally to the complementarity between person and environment, what the environment offers and provides for ‘good or ill’. It is now commonly seen in terms of the possibilities for action suggested by the environment – a handle affords holding for example, a stick affords sword fighting, pooh sticks and much more! Affordances are direct perception-action processes that don’t involve thinking; all of the information is available within the environment so no instruction is needed. Affordances also support the interconnection between the perceived and perceiver – how we are embedded in the landscape. There are also suggestions that affordance and affect (emotion) can be integrated – intriguing given nature connectedness is affective and the benefits of nature include balancing our emotional regulation system. So, like emotions, meaningful behaviours can come directly via perception without thought. Clearly, such a direct perception-action process is ‘fast’, the environment can provide immediate meaning, and meaning is part of a sense of place, and nature connectedness. This opens up the possibility that there can be more immediate pathways to developing a sense of place, or nature connectedness. In their paper, Raymond et al, go on to suggest how affordance theory can potentially fill blind spots in sense of place research. One of these blind spots being that sense of place research tends to focus on social construction of place attachment from a broadly cognitive perspective, or place meaning from an inductive perspective. The authors note how sense of place can be seen to be generated from being able to ‘read’ the landscape, language, culture, activities and deep emotional ties. Sometimes these higher order approaches of cognition, attitudes, beliefs, social aspects and cultural angles neglect the more direct and simple perception of the environment and its many potential affordances – some of which an individual might not perceive owing to their own physical capabilities or cultural factors. Returning to nature connectedness research, our pathways model suggests a hierarchy (and fast and slow aspects), from simply sensing nature, to finding emotion, beauty, meaning and ultimately compassion. There are also parallels between being able to ‘read the landscape’ and traditional attempts to engage people with nature through knowledge, being able to read the natural world. The need for sense of place to consider immediate meaning via the senses, extends into how meaning develops from sensing the environment and individual differences. So a sense of place is formed from the features of the place, experiences within the place and the individual’s social/demographic characteristics. This includes immediate perception of those features and a dynamic interconnectedness between the features and the individual – nature connectedness and sense of place doesn’t just happen in the head! This perspective could also inform the design of environments to afford meaning, sense of place, or nature connectedness. 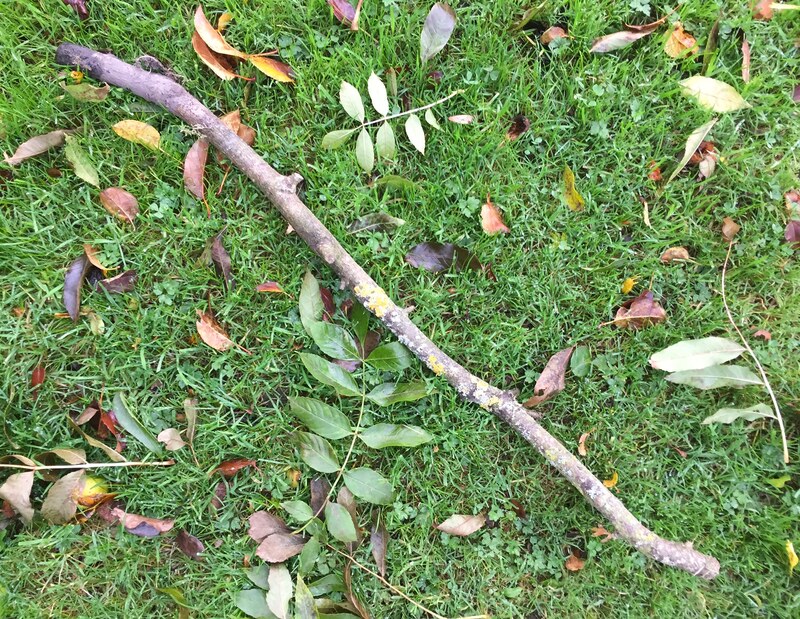 It is interesting to note at this point that research suggests some people, and children, might need inviting into activities in order to realise potential affordances the environment offers – what can be done with a stick for example. Designing such places needs creative thinking and exploration, but there is a framework to stimulate that thinking. For nature connection we need to afford reflection – a place to pause and perceive – close to features that stimulate using the senses, noticing beauty and resulting emotions. Such places can foster immediate and sustained relationships that bring meaning through function and experiences. Such creative thinking can draw upon the arts and include accessible activities such that meaning and memories can be formed. The paper on sense of place and affordances has helped extend my thinking on the dimensions of nature connectedness. How nature connection can also be fast and slow. Nature can prompt immediate moments of connection – we can find meaning and emotion before we stop to think, but also when we pause to reflect. And these moments bring two dimensions of emotion, both joy and calm. And that emotional balance brings two dimensions of well-being, feeling good and functioning well. Raymond, C., Kyttä, M. and Stedman, R. (2017). Sense of Place, Fast and Slow: The Potential Contributions of Affordance Theory to Sense of Place. Front. Psychol.